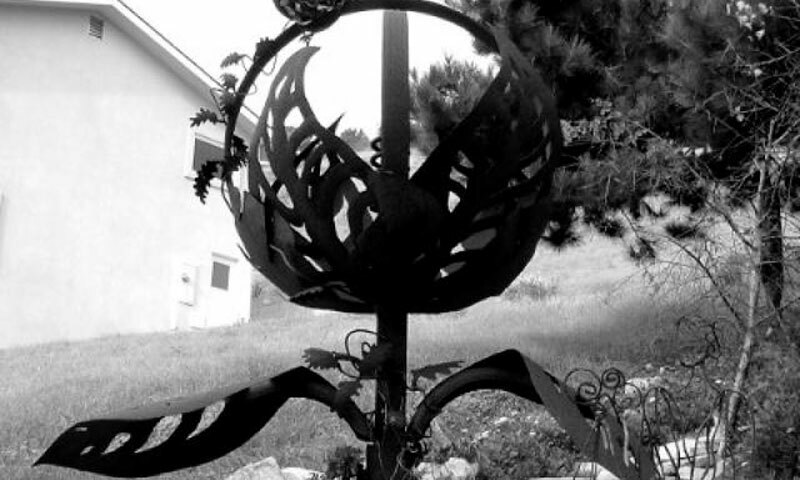 This giant metal sculpture tulip has withstood 15 years of Cayucos seaside weather. The client wanted something big and unique for the front yard. Back at Beck’s Welding, I did a quick survey of all the scrap metal pieces in the yard which included old wagon wheel rims, some stainless steel and brass, and plate steel. 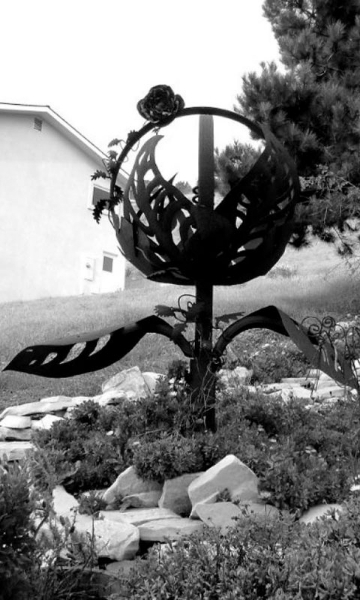 So, I let my artistic imagination run wild… front yard, scrap metal… and somewhere in the process the thought of a giant flower arose… and then a tulip seemed to fit the available scrap metal. Commissioned by the good folks at the Sea Shanty in Cayucos CA, this piece uses actual wagon wheel rims for the hoops, and regular carbon steel for the big leaves. 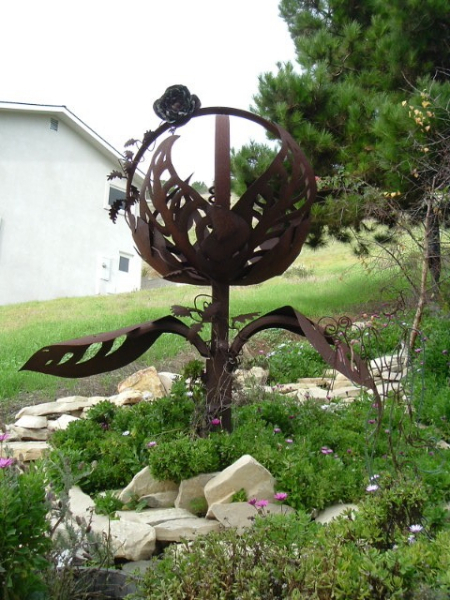 There’s a blossom, just above the photo, made of concentric folds of stainless steel and brass. Very cute!